April 30, 2012  UNESCO recently set April 30 as a day to raise awareness of jazz music's potential as a cross-cultural unifier. But in the U.S., the audience is aging, and the music has struggled to connect with younger generations. Jason Moran, the Kennedy Center's artistic adviser for jazz, hopes to change that. 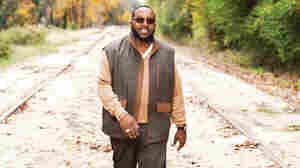 April 29, 2012  The gospel music star lost his wife to cancer in 2010. His new album, I Win, is a tribute to her. April 28, 2012  The American Idol winner is now a superstar, tied with Reba McEntire for the most No. 1 singles by a female country artist. Her fourth album, Blown Away, is a little stormier than her previous work. April 28, 2012  "If somebody doesn't start writing more songs in the tradition of that great songbook, what's going to happen?" singer-songwriter Jill Barber asks. "They're just going to get older and older and dustier." 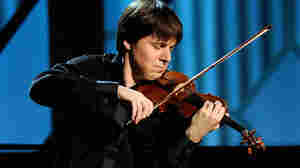 April 24, 2012  Bell, the violin prodigy turned star, has taken the helm of the Academy of St. Martin in the Fields. On his first tour with the group as both music director and conductor, he plays the violin while conducting the orchestra simultaneously. 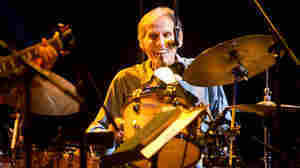 April 19, 2012  Helm, the longtime drummer of The Band who backed Bob Dylan and sang with Van Morrison, died Thursday. He was 71. 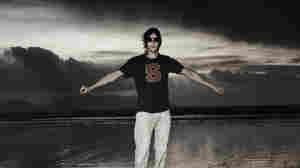 Fresh Air remembers Helm with excerpts from his two appearances on the show in 1993 and 2007. 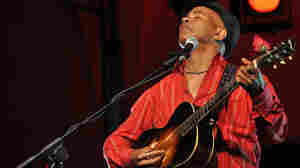 April 19, 2012  Davis discovered the blues in college, and now travels the world performing in places untouched by the blues, from Greenland to the Galapagos Islands. Known as "The Ambassador of the Blues," Davis talks about his new album, The Adventures of Fishy Waters: In Bed With the Blues. April 19, 2012  On her new album, Traveller, Shankar goes back in time to make connections between India and Spain. April 18, 2012  Half the British dance-music duo on their new songs and the last time sounding old school was cool. 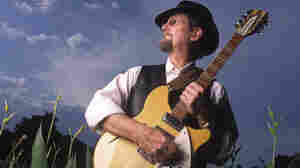 April 18, 2012  Singer-guitarist Roger McGuinn, best known as leader of The Byrds, is a folk-rock pioneer. Since the group disbanded, McGuinn has pursued a solo career, and also created the Folk Den Project, an online database of traditional songs he records. April 17, 2012  While her mother worked long hours, musicals on VHS would entertain the singer when she was young. 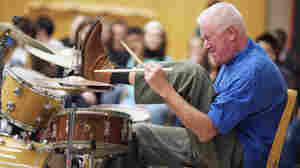 April 17, 2012  Han Bennink hears sonic possibilities in many objects beyond the typical drum set. The Dutch drum maestro, one of the leaders in European free jazz and free improvisation, joined Fresh Air for an in-studio interview and concert. Before he left, he drummed on virtually everything in the office. 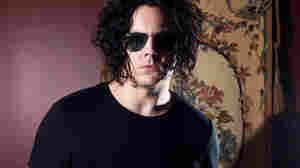 April 17, 2012  All Songs Considered host Bob Boilen and Jack White discuss the making of White's album, Blunderbuss. Plus, the difference between playing with men and women, and why hipsters are scary. April 16, 2012  Frontman Jason Pierce has been through a lot in the past decade: a bout of pneumonia, ongoing liver disease and a history of drug use. But in writing the band's latest album, he plays things safer. 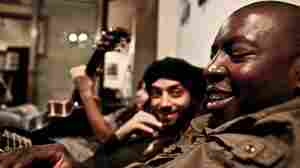 April 15, 2012  After a chance meeting acquainted Idan Raichel and Vieux Farka Toure, the pair collaborated on an album called The Tel Aviv Session, bringing together musical elements from each of their cultures.